I’m so happy to be able to do another unboxing and review of a Japanese Candy subscription box! 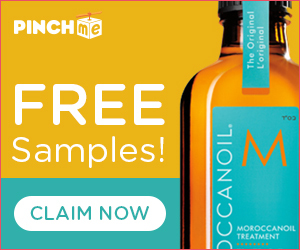 Yep, we’ve got the Tokyo Treat February 2016 box! This time, it didn’t get stuck trying to get to me thanks to my mail carrier. It just kind of disappeared off the tracking radar for a few days after it was down in California which had me soooo worried about it. For some reason right after the kids had a four day weekend, my packages all took for.freaking.ever to get up here from California. Erm.. Anyway. As stated above, we got sent this box to review. There are three different options which include Small, Original and Premium. All of them offer shipping included in that price, and that’s WORLD WIDE folks! Small runs $14.99/month, with 5-7 full items. 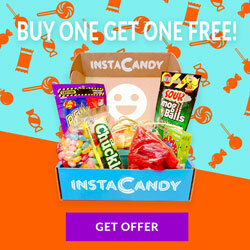 Original is $24.99/month with 8-12 items with one being a DIY candy kit. Finally the Premium is $35.99/month with 13 – 17 items, 1 DIY candy kit as one of them, one drink, and one special item. Special items can be drinks, premium DIY’s or a high-quality Gachapon toy. Sweet! You can also save money depending on how long of a plan you pay for in advance. You can check out the site for all of that info though, as I don’t want to clutter this with all of that. 🙂 My verdict though? The Premium box is SO WORTH IT! If you can swing the monthly fee, if not either of the two other boxes is just as sure to please. This is the Tokyo Treat February 2016 premium box and it offered 14 items, and then two BONUS items! Yep, 16 items in total! One of those being a DIY Kit, and one drink. Plus the cute pair of fortune chopsticks that was this months special item! The only strange thing that happened with the box was that my flavor of Tohato (those little ring chips) was not the one listed on the little magazine so I was… very confused. You can see in the video at the end of the post. Oh wow, I feel so embarrassed. I was going to cut it out, but I try and show as authenticly… weird I am when I do these videos so I try not to edit out everything. Keepin’ it real yo! Sadly I did have to cut some parts where we taste tested some things at the end, the footage got wonky and the sound was really… awful? I don’t know. Anyway. So much greatness in the box! My favorite things from out Tokyo Treat February 2016 box would be the Tohato chips, pretz, the gum that changes from it’s original flavor to grape (wwwhhaaat?! So neat! ), the chop sticks, and the princess cookie (shown above right next to the blue bagged caramel corn stuff) that had strawberry filling inside that I actually fell totally in love with. I’d eat those and I hate fruity filling 99.8% of the time! Hehe! Risi loved the cute chocolate sucker, Tohato chips, and forever and always Pocky. The overall assortment in the Tokyo Treat February 2016 premium box was absolutely fantastic. We loved pretty much everything of course, aside from… Well.. I wish sooo much to know what flavor of ring chips I got from Tohato. They’re AWESOME and we need more in our lives! Anyway. ^_^; Here is our unboxing of the Tokyo Treat February 2016 box, in all it’s messy chaotic glory but at least you can see first hand the reactions of me, Var, Lisi and at points Risi. Do you have a favorite Japanese treat? What from the box looks like something you think you’d love if you haven’t tried it, have you tried anything we have? 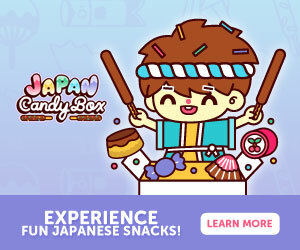 Don’t forget to check out the wonderfulness that is Tokyo Treat, and get in on your own monthly exciting box of goodies directly from Japan!